While we would definitely not like to go to a concert where a computer is playing music, yet AI and ML has given us the power to take music listening and music making to the next level. Learn more on this from Dorien Herremans, Assistant Professor, SUTD who will be speaking at TechHR Singapore. Music and Machine Learning- sounds not so musical? Maybe not. Just like everywhere, Artificial Intelligence has also pervaded the world of music. Spotify, Grooveshark, Pandora, and others can today recommend music based on our listening habits and moods. What does this mean for the music industry? Will AI take away jobs in the industry? Or create new opportunities? In future, will we be going to concerts where a computer is playing music? These are some of the questions which Dr. Dorien Herremans, Professor, Information Systems Technology, Singapore University of Technology and Design (SUTD) and a certified instructor for the NVIDIA Deep Learning Institute will answer at TechHR Singapore. 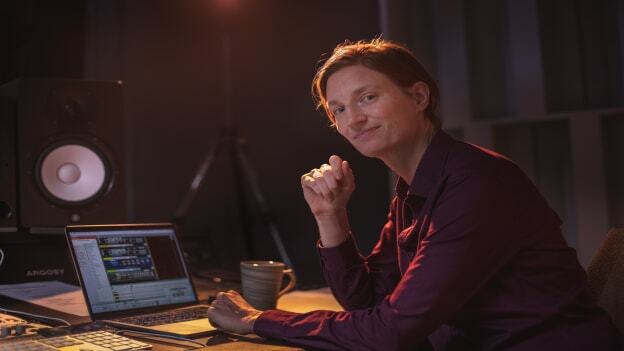 Drawing examples from her research that lie at the intersection of machine learning and music, Dr. Herremans will share how AI, cloud computing, and many more emerging technologies are radically changing the music industry and how will they impact jobs and skillsets required in this industry. How are technologies like Machine Learning, AI cloud computing changing the music industry? The music industry has continuously evolved through the emergence of new technologies. Even before AI, we saw an evolution from listening to music at live performances (in the days before technology), to listening to music at home through LPs, cassette tapes, and digitally recorded CDs. Cloud computing has made it possible for us to stream our favorite music on any type of mobile device, through Bluetooth connected 3D sound systems. It has allowed them to create new radio stations, on the fly, with music similar to the song we picked out. These sorts of technologies drastically change the way we listen to music. In terms of making music, technologies have now empowered creative people around the world to record their own professionally-sounding tracks, and sell them online. Through semi-automated production software, AI computer-assisted composing tools, and cheap home recording equipment, any motivated hobbyist can produce professionally sounding music. Through cloud services such as ReverbNation, Spotify, Deezer, etc. they can also skip record company completely, by directly bringing their music to the masses. This has created a direct channel from the artists to the masses. I don't believe this means the end of the traditional music industry, as the marketing efforts, professional recording support, and concert tour organization skills of traditional record companies remain important to artists who don't want to self-publish. How will these technologies affect the music industry as far as the context of work is concerned? The landscape in which we live and work is constantly evolving through new technologies. The music industry is no exception to this. While artists and composers will still need their musical skills to do their job, additional knowledge of new technologies, e.g. new electronic instruments, new production software could leverage their creative power and result in higher output quality. Record companies will most definitely need to attune to the new distribution channels so that they can keep up with newcomers such as Spotify. How will these technologies impact the jobs in this industry? Will new jobs be created as a result or will some of the current jobs disappear in the future? The global recorded music market is rising each year, with an increase of 8.1% in 2017 alone. That same year, digital music revenues rose by 19.1%. I don't expect to see musicians being replaced by machines anytime soon, especially not given the growth the industry is currently experiencing. Skills like music performance, composition, business management, representation (agents), will always be needed. That being said, AI and machine learning have given us the power to take music listening and music making to the next level. Electronic dance music can now be easily produced from one's laptop, by using built-in automatic effects processing and a range of smart tools. DJ software can recommend matching songs to the DJ by automatically analyzing music and retrieving matching audio files in huge collections. Composers can get melody recommendations that fit their current chord structure. And, we at home, can open a playlist that tries to match our current mood. However, in all of the above, the human artist is still plays a critical role. Not only as the content creator or performer, but also as our idol and role model. It is unlikely that a human AI would have the same effect on teenage girls, as boy bands do now. How are these technologies going to impact the requisite skill sets in this industry? The music industry, which is ever growing, will always need people, be it performers, composers, instrument makers, business people in the record industry, concert organizers, educators, music therapists, audio engineers, etc. Within these jobs, like in any other industry, it will become necessary to embrace new technologies. For instance, composers will use new software to create their scores, and may even use AI inspired algorithms to aid in their composition. Marketers will branch out into the area of streaming music and social media to promote artists and songs. “Some of the emerging career paths specifically related to novel technologies include engineers and researchers that build/invent streaming music technologies, cloud platforms, AI-inspired composition tools, music recommendation tools, sound effects, etc." Most of these novel technologies fall within the domain of the Music Information Retrieval (MIR) research community (ISMIR), of which I am an active member. It should be noted that the new jobs go beyond just the record business. New opportunities are arising in the field of MedTech, e.g. we see that doctors are incorporating technology in music therapy sessions, and new apps such as Yousician are facilitating music education at home. What do you think are the pros and the cons of the application of these AI technologies in the music industry? I think it's amazing that the music industry has become so accessible through these new technologies. While companies such as Jukedeck offer basic music generation solutions, I believe the future lies in technologies that assist us in achieving our goals. For instance, a film score composer may get a suggestion of the next notes to come that may match the video, which he/she can then choose to accept or alter. In this way, technologies can support our creativity. Radio station DJs may go to Spotify, to find songs that match their current song, which they can then choose to play or opt to go for their own option. What is your one piece of advice to people who want to future proof their jobs in the changing music industry? In order to keep up with the competition, who may be offering all these new AI-powered services to users, I think the most important thing is to stay up to date on the available technologies. It is not necessary for managers or composers to learn how to code, but attending conferences such as ISMIR will give you an insight into what is currently possible with technology in music, and which challenges researchers are facing. Bigger music industry firms may want to invest in an R&D department or MIR technology team so that they can offer these services as well. More and more schools are offering sound and music computing degrees. Graduates of these types of degrees (MSc or PhD) would make perfect additions to such a team. For the enthusiast interested in the actual technologies, mentoring programs such as the one offered by WIMIR (women in MIR) offer a great way to get in touch with industry professionals and researchers for advice on how to get started in music & AI technology. Dorien Herremans will be speaking at TechHR Singapore on 28th February 2019 at Marina Bay Sands, Singapore. Register now.